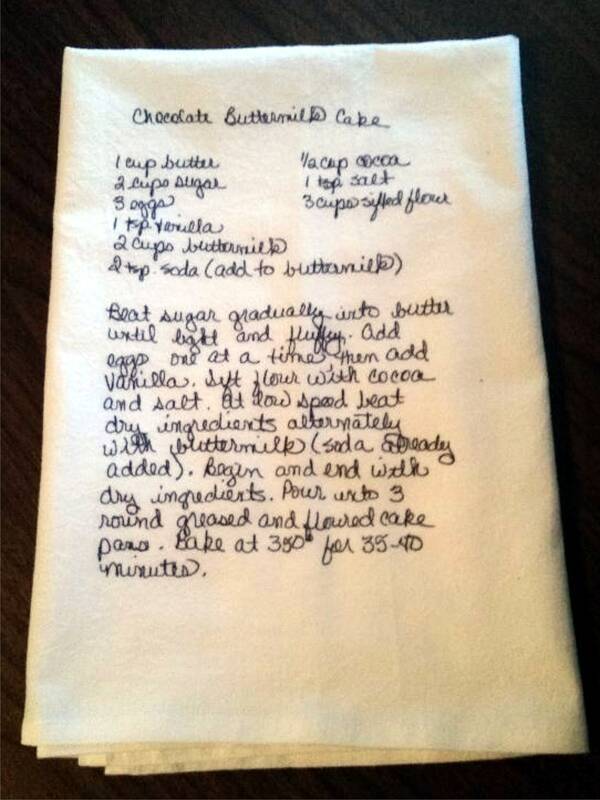 Get your handwritten recipe digitally imprinted onto a high quality dish towel. Your children, family, and/or friends will love this unique personalized gift - or get one for yourself - I just had to make myself one when making one for a customer!! Who could resist this idea!! Great way to preserve heirloom recipes or create an heirloom of your own. We can also print text or photos onto these dish towels. Simply buy and then send us what you want on your dish towel. 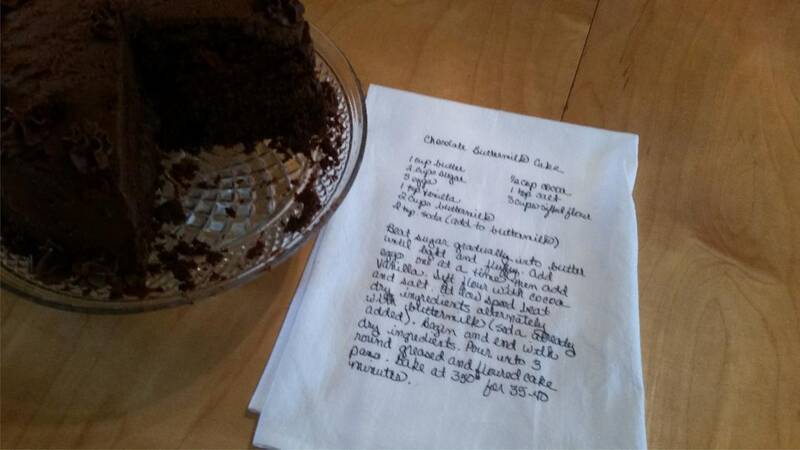 For recipes, we recommend that they are written with an ink pen, and you can either scan it and send it to us at check out or mail it to us (please don't mail an item that is not easily replaceable!!). The print is crystal clear. Much clearer than I could get it to show up on the pictures!! This is not an iron on or dye sublimation item but printed directly onto the towel utilizing our commercial digital garment printer. These high quality towels are 27" x 27" Aunt Em's commercial grade flour sack dish towels, 100% Pure All-natural Ring-spun Cotton, and (in case you want to actually use them rather than hang them on your oven door!) they are made of 100% lint free super absorbent natural plain cotton. Due to the custom nature of this item, returns are not accepted unless there is a defect in the workmanship of the item in which case the item needs to be returned to us within 14 days of purchase in new, unwashed condition.